Nosaj Thing Poster/“Faster” Movie Promo. Illustration by Bob Motown for Two Rabbits, 2010. I did this illustration for an event promoting the move “Faster” starring none other than The Rock (Dwayne Johnson)! Prints were screen printed live and given out at a private event in Los Angeles. I chose the 1970 Chevelle Super Sport as its the main vehicle in the film. Two Rabbits used the illustration for some Gig posters as well. 3 Color Screen Print on 18x24 cover stock. 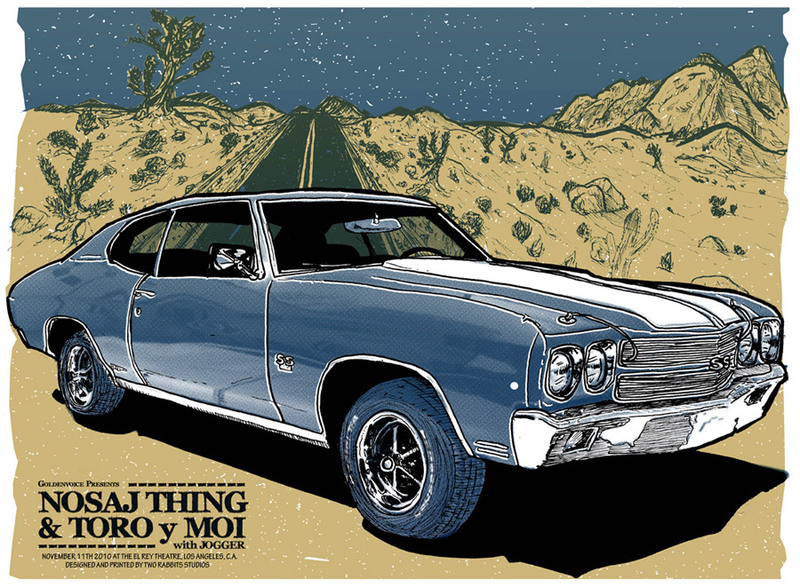 Art prints and gigposter are available HERE!